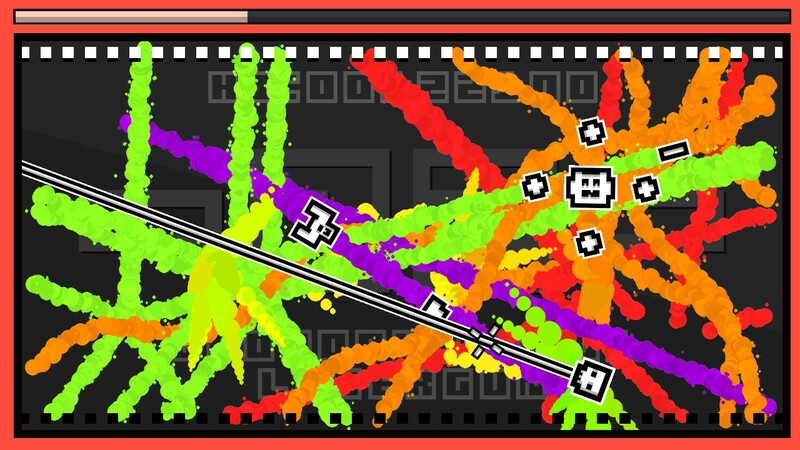 Inspired by both modern and old school shooters and from the developers behind Midnight Deluxe, InkSplosion is an arcade delight that is simple to learn, yet hard to master, thanks to endless levels that are decorated only by your colourful ammunition. Should you rise to the challenge and emerge experience, it only means it is time to bid “farewell” to Normal mode and say “hello” to Arena and Hard, 2 brutal modes that would offer even the most gung-ho of players a worthy conquest! 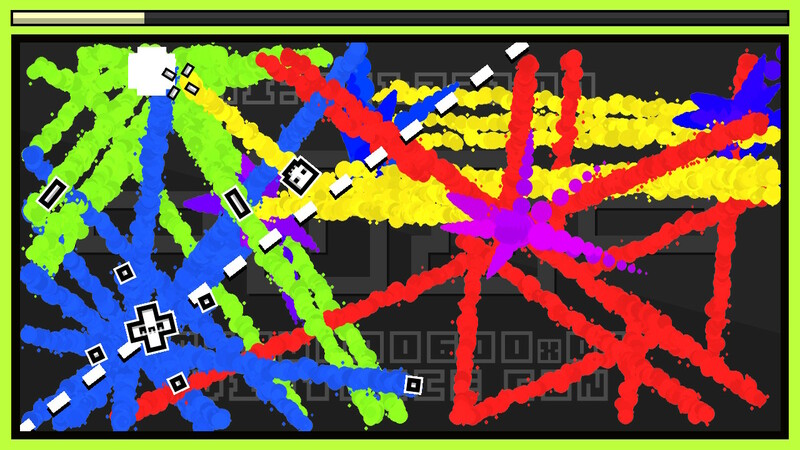 InkSplosion plays more like a demo than a full-fledged game. 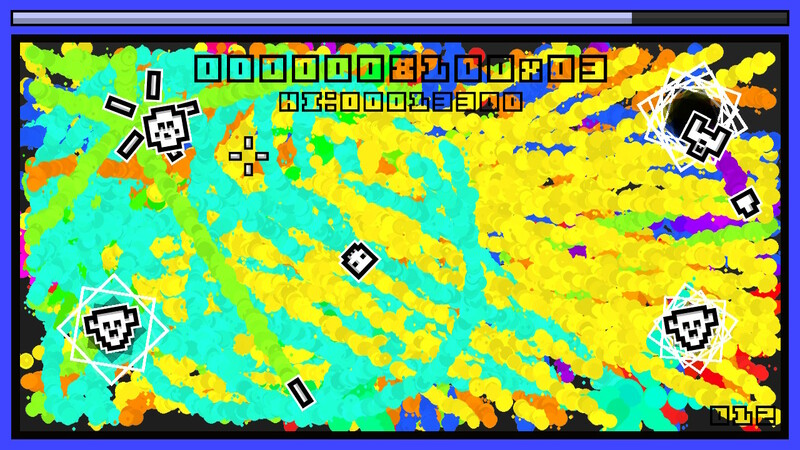 A fun concept as a basic shooter is presented with limited options and will not entertain for long periods. Give this one a miss. 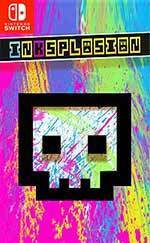 InkSplosion could have been so much more, but it’s ultimately let down by a sheer lack of variety (and a frustrating lack of replay value once you've swiftly bagged all of its in-game achievements). 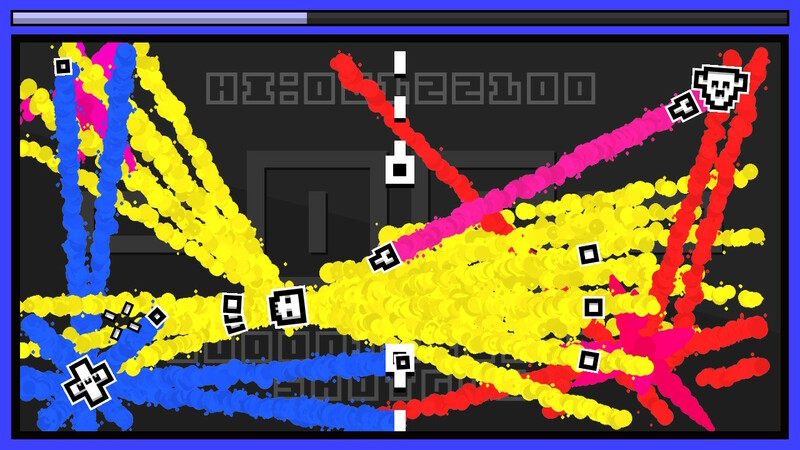 As a top-down shooter it's certainly competent, but it’s unlikely you’ll hang around for long with so many other fuller packages on offer on the Switch eShop. 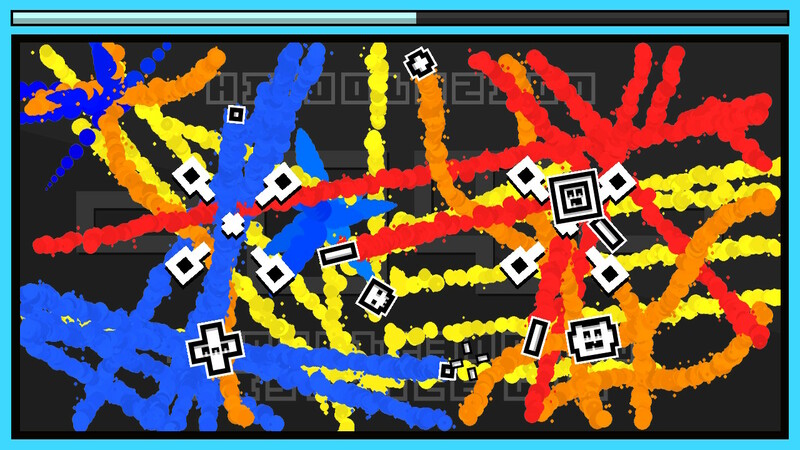 Visualmente InkSplosion até consegue ser apelativo. O jogador, inimigos e tiros são brancos e o fundo dos níveis é preto mas o rasto de todos os tiros larga uma cor diferente, o que faz com que o campo de batalha fique bastante colorido e vibrante rapidamente. O desenho de aspeto "retro" das várias naves e barreiras que se encontram nos níveis dão uma certa nostalgia ao estilo artístico.